Grap the world to your website!! We know you want to increase your number of visitors, More people … more money!! So we’ve made you this application you can grap all your rss from any place and put it in only one place!! Easy to use, Easy to install … and More often!! Brightery Mega News Portal is a simple to use, efficient News portal application with an impressive features set. With any website RSS Grabber, you can start your advanced news portal immediately. There’s no super requirements and no advanced experience is required, You can make your news portal in just minutes. 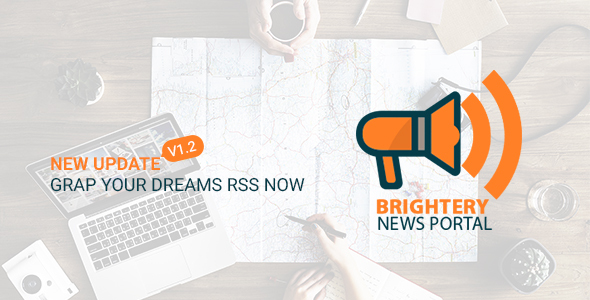 After installing Brightery Mega News Portal, you get unlimited features!